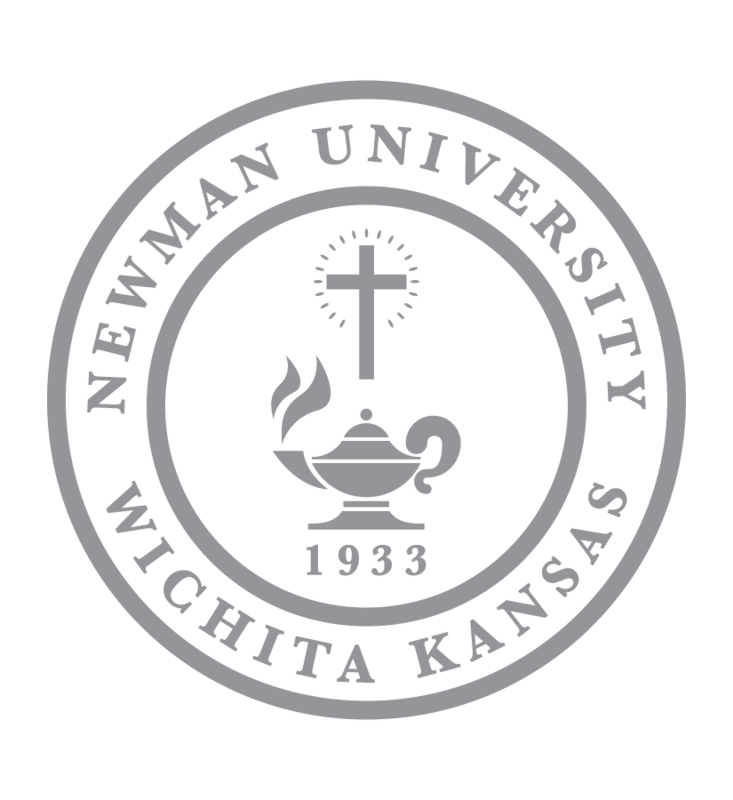 At Newman University, service work is inherent. 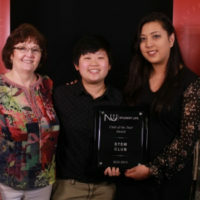 Throughout the year, the Newman community takes part in projects that better campus, the community and even the world. 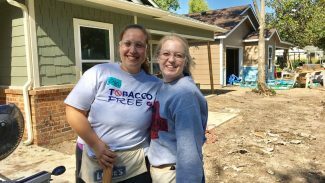 On Oct. 13, Newman took part in the Pope Francis Build 2017, a collaborative effort of the Catholic Diocese of Wichita and Habitat for Humanity. Nursing students Erin Schueller and Lauren Keith take a break from cutting trim to pose for a picture. 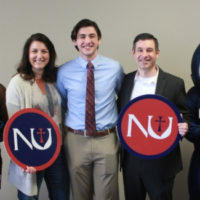 Many Newman students have scholarships that require them to have a certain amount of service hours each year, and faculty and staff have more than 40 hours of paid community service available to them each year. 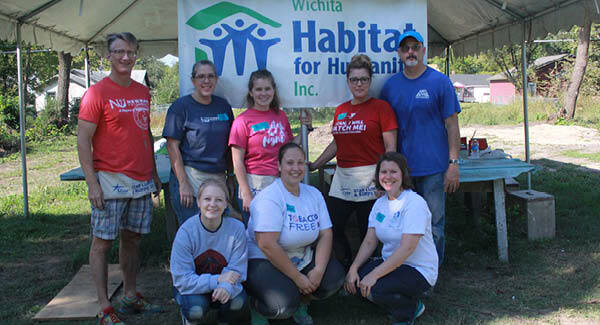 The Catholic Diocese of Wichita has partnered with Habitat for Humanity for more than 10 years to help build new homes for deserving families in Wichita. 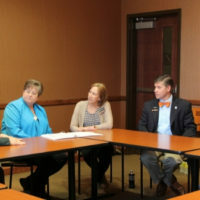 They work with the Campus Ministry office, who then notify staff, faculty and students of the volunteer opportunity. 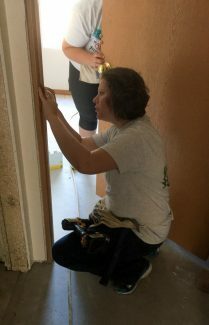 Nine volunteers gathered bright and early on Friday morning to help hang doors and trim in a nearly completed home. Bonnie Toombs, director of the Diocesan Respect Life social justice office, was there to greet the volunteers and say thank you. She has been helping organize the volunteer days for Habitat for Humanity builds for eight years. Habitat for Humanity homes are generally completed during a five- to 10-week timeline. A new goal for most builds is around eight weeks. 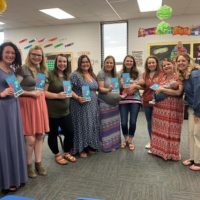 Within those eight weeks, there are anywhere from 18-25 volunteer days. 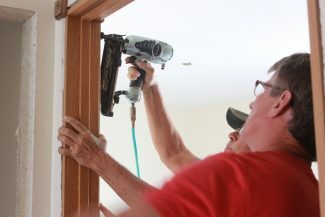 Depending on the volunteer day and how far along the project is, volunteers could be helping put up trusses, painting, or even installing cabinets. Volunteer days for this particular build began Aug. 17 and ended Oct. 20. Vice President of University Advancement J.V. Johnston said he enjoys volunteering every year because he always learns something new. The thought and effort behind the builds are the reason she believes the program to be so successful. Campus Ministry volunteers at least once a year to help with Pope Francis Builds.